Thomas Marcus, aka Breeze, is one of my favorite street artists. 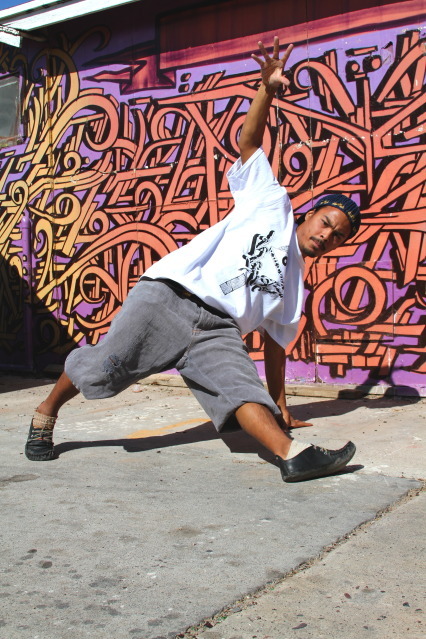 He is Tohono O’odham from the Gila River and Salt River communities located near Phoenix. Breeze is a quiet storm, producing colorful graphic art that radiates out like a beautiful explosion. Inspired by traditional O’odham basketry, Breeze’s two-dimensional art references the intricate patterns made by his ancestors. 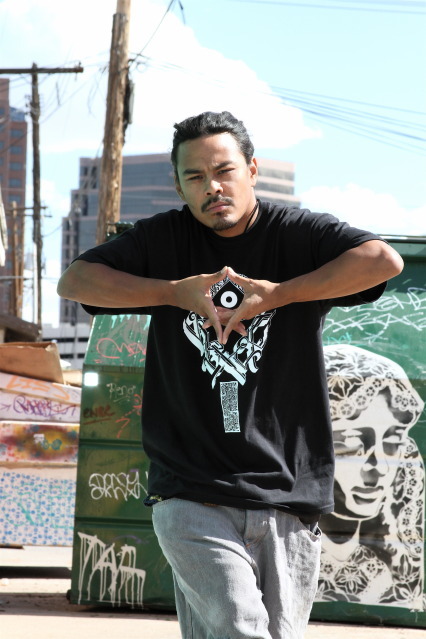 But Breeze also translates his distinctive style to the world of streetwear, and his latest t-shirt design is based on the idea of taking back and taking over sacred symbols, geometry, and knowledge. Yes, he is badass like that. This latest shirt design is called V.III.I.VII. (5317), and it features the pyramid symbol with a complex sun design glowing out from behind it. A simplified music record represents the eye. At the bottom of the design is a ‘coded language,’ representing all ancient scriptures of knowledge and wisdom throughout human history.